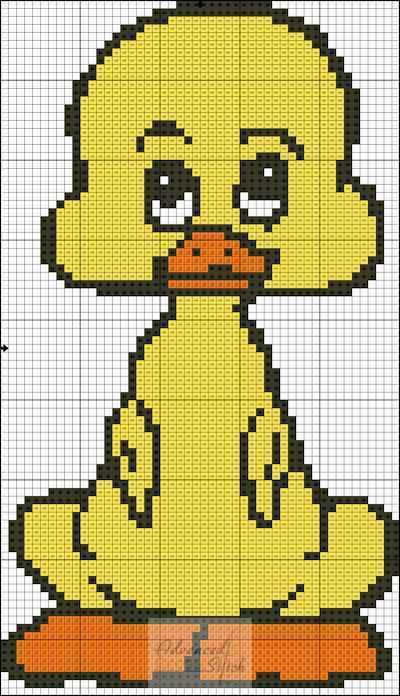 Here is a whimsical little duck chart. It’s 50×86 and contains 3 colors. A fun quick project. 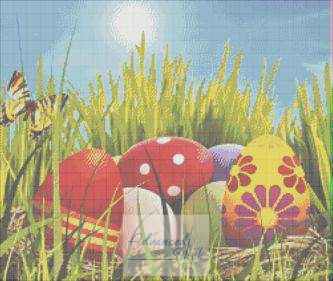 Here is an Easter Eggs chart showing Easter Eggs in grass. This chart is bright and cheerful for spring. 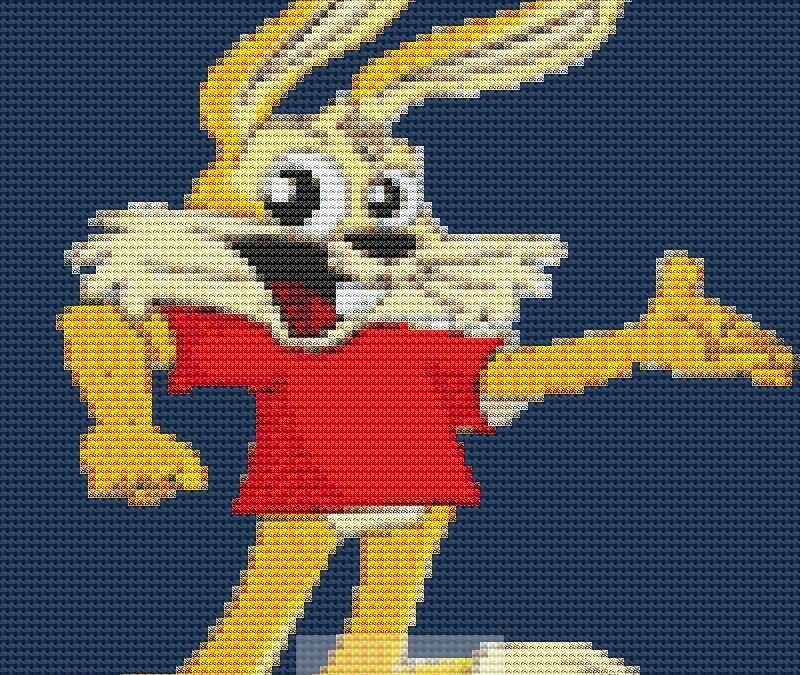 It’s 250×211 stitches. It contains 61 colors. 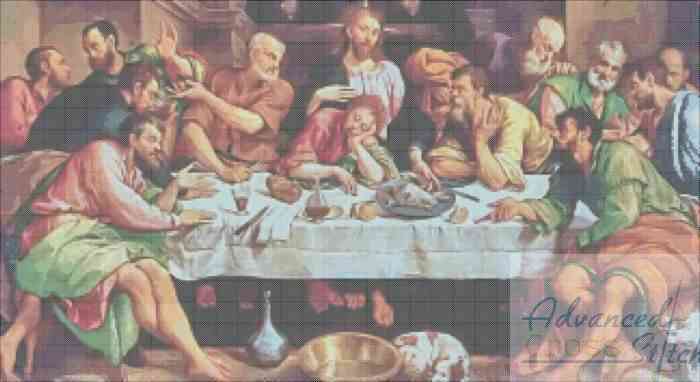 Here is a less common image from the last supper. 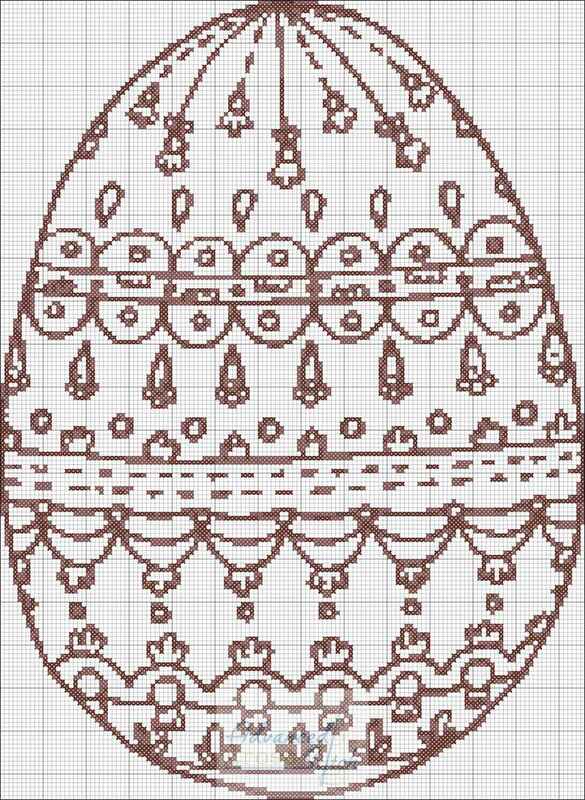 The pattern is 324×177 stitches and contains 121 colors.